I was tempted by this 3-IN-1 product from Australis because I liked the idea that this could be a good, quick product for days when I am in a real rush and don’t have time for three steps but want that look regardless. Unfortunately, this product fails on all levels for me and I just don’t love this at all. Firstly, I purchased this online and the colour is way too dark for me, but it is the lightest shade available in the range. The cream itself is very thick and I found it kind of hard to blend it out. It is extremely cakey and catches on every bit of texture on the face. It sets quite quickly too and I find it hard blend it in before ‘sets’ and dries to a powdery texture so for this reason I don’t think it functions as a foundation (and therefore, neither as a powder). I have combination skin, but I find this very drying. Every time I have tried this all over the face my skin has looked terrible! My next attempt to make this work was to use it just as a concealer, but again, it is just SO cakey and because of the cream to powder formula, it is so hard to blend out smoothly. I have tried this is few times and it has been such a fail for me that I am already decluttering it. I really like the idea of this product, but its execution has left me wanting. While this product hasn’t worked for me, my favourite foundation combination and face powder do come from Australis, so if you would like to read that review you can find it here. This entry was posted in Australis, Uncategorized and tagged 3-IN-1, Australis, budget friendly, concealer, cruelty free, foundation, megansmakeupmuses, powder, Powder Cream, Powder Cream 3-in-1 concealer foundation powder SPF15 on February 25, 2017 by megansmakeupmuses. 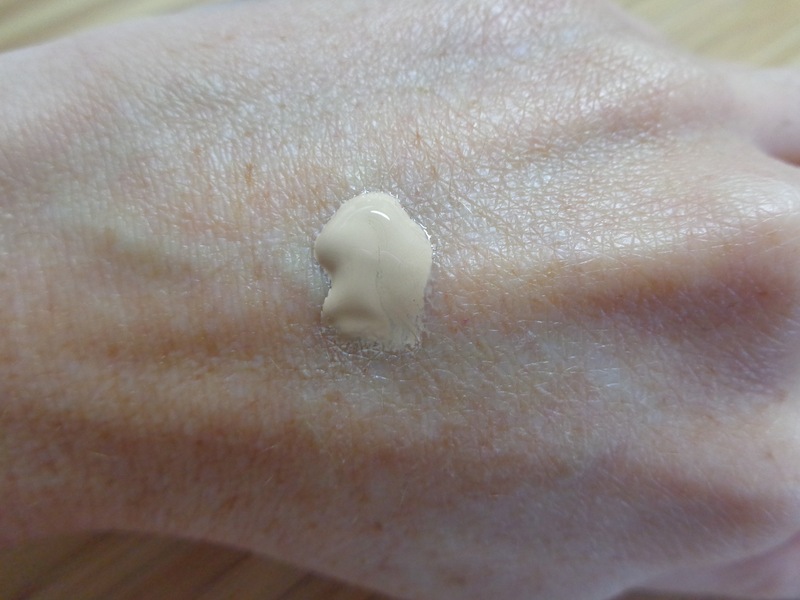 Things I don’t Love: MUA BB foundation – all in one beauty balm. We are going to kick off this series with a product from MUA. MUA (Makeup Academy) is a budget-friendly, cruelty-free brand and I have many products from MUA that I really love. Unfortunately their ‘BB – all in one Balm’ is not one of them. BB foundation in light – you can see that it is a little bit separated. The colour of this BB cream is fair and is a reasonable match for me. It is very thick out of the tube and you can see (sort of) in the image above that it can separate a bit. 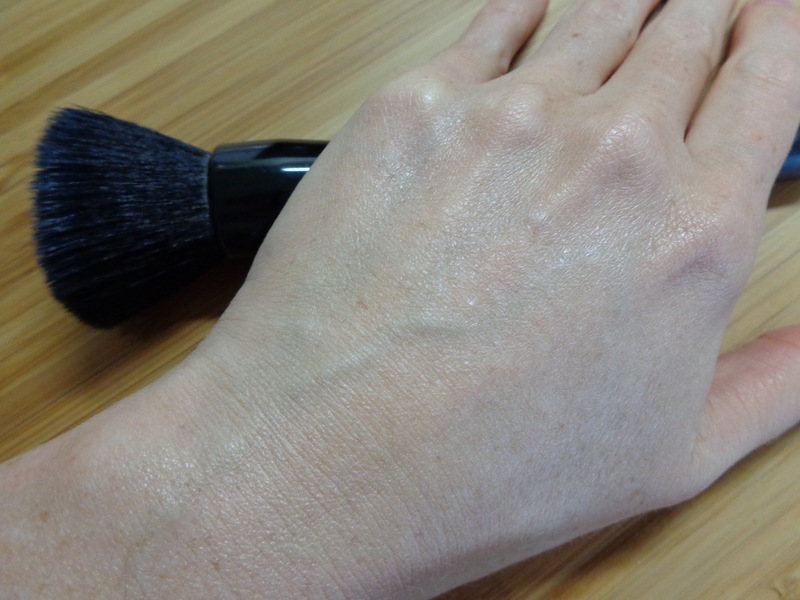 BB foundation in light: spread out on the back of my hand. When you start to spread it out on the skin it is quite greasy under the fingers. I feel like the texture is very similar to a 50+ sports sunscreen. It doesn’t feel like it blends into the skin but rather just sits on top of it. It stays greasy to the touch on my face, even when I set it with powder. 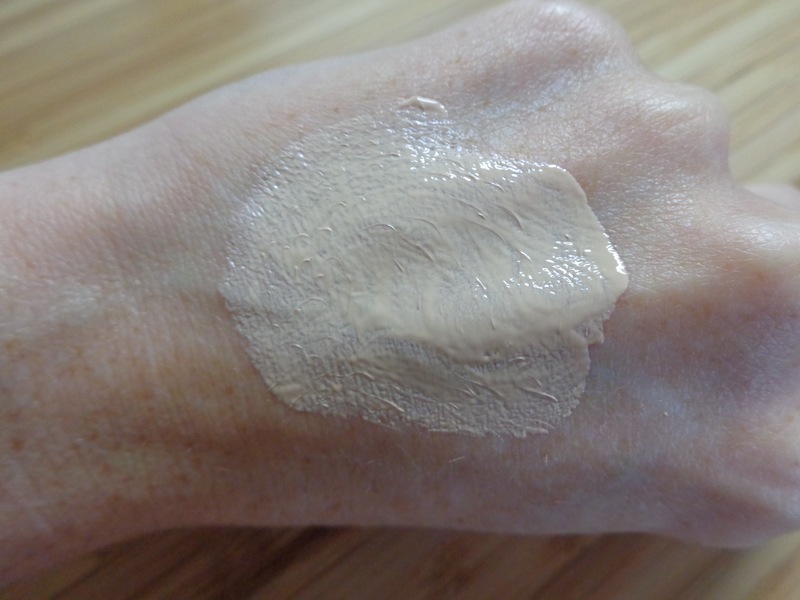 As you can see, when it is blended out, the coverage is light although it feels very heavy. Because of the very think texture and the fact that it stays sort of tacky and greasy on my skin, I find that this BB cream breaks down quite quickly and within in few hours my skin is already starting to look patchy 😦 I buy BB creams for the summer months as they are typically lighter and less greasy during the humid, hot times of the year, but this BB cream is heavier and greaser than even my highest coverage foundations. For this reason I can’t wear this product to work as it won’t last the day. I have actually stopped using this BB cream although I’m only being halfway through the tube, which is very unlike me. Despite my most creative efforts, I just can’t make this one work. This product cost about AU$8 and for that price there are certainly better options on the market in my opinion. As I said at the start of this post, there are so many MUA products that I really like, but I don’t love this BB cream. This entry was posted in MUA Reviews, Things I Don't Love and tagged BB cream, budget friendly makeup, cruelty free, foundation, megansmakeupmuses, MUA on September 5, 2015 by megansmakeupmuses.